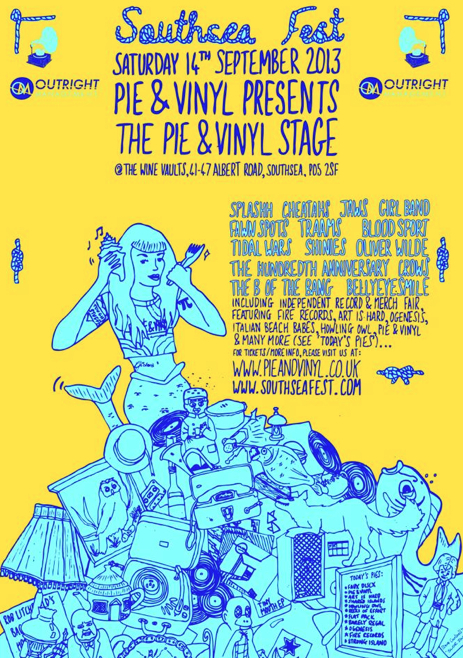 Southsea Fest (http://southseafest.com) is always an excellent day for us Portsmouthians and it’s a really strong line-up this year. The Boy I Used to Be, New Desert Blues, BellyEyeSmile, Veronica Falls, Joe Black, Is Bliss, Curxes, Splashh, The Day of the Rabblement, Cosmo Sheldrake and probably a few more I’m forgetting. Our Elliott and Ox will be playing with The Retrospective Soundtrack Players (http://retrospectivesoundtrackplayers.blogspot.co.uk) at the Kings Theatre too and I’ll also be doing a solo set on the Xtra Mile Stage at The Atrium. Fun times all round. I feel I’ve mentioned myself too much in this blog. Me. Wit. Hello. SEE YOU AT SAAFSEA FEST GEEZAS.